Other Uses Of Cosmetic Fillers: Earlobes, Temples, & Hand Rejuvenation! Cosmetic fillers can accomplish a variety of procedure goals. From filling fine lines to smoothing facial wrinkles, many patients choose dermal fillers like Juvederm®, Radiesse®, Restylane®, or Belotero® for quick and efficient treatment. These fillers can target more than your facial profile, however! At Plastic Surgery and Dermatology of NYC, Dr. Jody Levine utilizes dermal fillers to target sagging earlobes, volumize the temples, and rejuvenate the hands. Learn more about these uncommon uses of fillers below. Cosmetic Fillers To Create Better Earring Position! Cosmetic fillers can create better earring position by targeting sagging earlobes. As you age, your earlobes may begin to lose firmness, leading to drooping or wrinkling. Consistently wearing heavier earrings can further exacerbate sagging over time. Juvederm®, Restylane®, and Belotero® can be carefully injected into your earlobes to fill wrinkles, reduce drooping, and improve earring position. By lifting and volumizing the earlobes with fillers, earrings can sit upright. Fillers provide extra stability for heavy earrings and prevent ripping. Add Volume To Your Temples With Cosmetic Injections! Juvederm® can be used to replenish lost volume around the temples. Your temples are found above your cheekbones. Though not one of the most common treatment areas, hollow temples can age your appearance. Dr. Levine can place Juvederm® injections around the temples to add natural-looking fullness and accentuate contours. Fillers To Improve The Texture Of Your Hands! Fillers can restore volume and definition to your hands. Over time, factors such as aging and sun damage can lead to a loss of fullness. Underlying veins may appear more prominent, resulting in an older-looking appearance. Dr. Levine uses Radiesse® to add volume to your hands, fill in grooves, and can hide the bulging veins. NYC dermatologist, Dr. Jody Levine, NYC plastic surgeon, Dr. Elie Levine, and the staff at Plastic Surgery and Dermatology of NYC welcome any questions you may have about Juvederm®, Radiesse®, Restylane®, or Belotero®, as well as our other dermal fillers. Contact our office at 212.988.1800, or request an appointment online today for your personal consultation! A Complete Non-Surgical Facelift Using FaceTite™ & Cosmetic Fillers! Patients who would like to reduce the signs of facial aging and replenish volume without undergoing traditional facelift surgery may instead benefit from a non-surgical facelift. This procedure can add natural-looking volume to the face and tighten drooping skin in one comprehensive treatment. The non-surgical facelift combines cosmetic injectables with FaceTite™ radio frequency treatment to achieve a younger-looking facial profile. Opting for a non-invasive facelift has many benefits. The non-surgical facelift results in less procedure time, downtime, and overall recovery than a standard facelift. 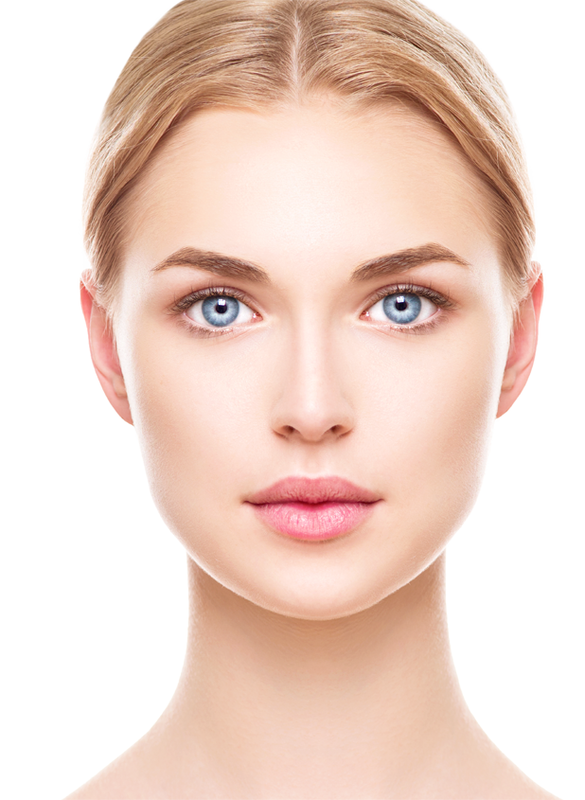 At Plastic Surgery and Dermatology of NYC, we offer the non-surgical facelift to restore facial definition. Cosmetic injectables can improve wrinkles, fine lines, and hollowing in under 30 minutes using BOTOX® Cosmetic and dermal fillers. BOTOX® can temporarily ease facial muscles that result in furrows and wrinkles, while cosmetic fillers like Juvederm™, Restylane®, Belotero®, Voluma™, Radiesse®, and Perlane® can add natural-looking volume to facial features and smooth fine lines. Additionally, Sculptra® can be injected into the deep dermis to stimulate collagen production and improve skin structure around the mid-to-lower face. FaceTite™ can firm lax facial skin to reduce drooping and sagging. FaceTite™ uses radio frequency energy to tighten the initial layers of skin, while also stimulating the production of collagen fibers under the surface of your skin. This results in a smoother, firmer-looking facial profile. Additionally, FaceTite™ treatment can also remove small amounts of unwanted fat, if necessary, to further enhance facial definition. How Does A Non-Surgical Facelift Compare To Facelift Surgery? Undergoing a non-surgical facelift can result in less healing time than facelift surgery. Non-invasive facelift patients generally experience only a few days of downtime. In contrast, a traditional facelift usually requires weeks of healing time and recovery. However, facelift surgery can yield longer-lasting facial rejuvenation results than a non-invasive facelift. Your plastic surgeon can discuss which of these procedures best fits your needs during your consultation. NYC plastic surgeon, Dr. Elie Levine, NYC dermatologist, Dr. Jody Levine, and the staff at Plastic Surgery and Dermatology of NYC welcome any questions you may have about non-surgical facelift treatment, as well as FaceTite™ and cosmetic fillers. Contact our office at 212.988.1800, or request an appointment online today for your personal consultation! Your Guide To Cosmetic Fillers – Which Injectables Are Right For You? Which cosmetic injectable is right for you? These hyaluronic acid-based dermal fillers can provide temporary, natural-looking volume without the need for any downtime! Though each cosmetic injectable can reduce the signs of facial aging and accentuate facial features, they are designed to target specific conditions. Thinner dermal fillers, like Belotero® and Restylane®, can treat fine lines, Juvéderm® can plump the lips, Voluma® can address hollowed cheeks, and Radiesse® can volumize the lower face. These cosmetic fillers may also be combined to achieve substantial results in one comprehensive treatment. See which filler(s) can best fit your procedure goals below. Belotero® is specially designed to target fine lines close to the surface of the skin. Belotero® has a thinner, lighter consistency than other dermal fillers, making it an ideal option to be injected superficially to fill mild facial lines around the chin, mouth, and lips, as well as under the eyes. Restylane® fillers can accomplish a variety of procedure goals. Restylane® Silk is a lighter option that can target superficial smile lines, as well as wrinkles around the eyes. Additionally, Restylane® Silk can be used to plump the lips. Restylane® Lyft is a thicker filler that is injected into the deep dermis to provide natural-looking volume. Restylane® Lyft can fill hollowed cheeks and moderate-to-severe wrinkles around the midface. Juvéderm® dermal fillers can volumize superficial facial wrinkles, as well as deeper folds. Juvéderm® fillers are extremely versatile and can target nasolabial folds, marionette lines, and lip lines. Juvéderm® Ultra is thinner and ideal for fine lines found closer to the surface of the skin, while Juvéderm® Ultra Plus is thicker and designed to treat deeper wrinkles and creases. Voluma® can add lift and fullness to the cheeks. This filler has a thicker consistency than most other cosmetic injectables, allowing it to be injected into the deep dermis to correct hollowing. Voluma® can achieve longer-lasting results than other hyaluronic acid-based fillers. Radiesse® can restore lost volume to the lower face and reduce sagging by adding lift to your facial features. Unlike hyaluronic acid fillers, Radiesse® is made from calcium-based microspheres, which help restore fullness and encourage the production of new collagen to enhance skin structure and elasticity. Radiesse® can target the chin, as well as wrinkles around the mouth. NYC dermatologist, Dr. Jody Levine, NYC plastic surgeon, Dr. Elie Levine, and the staff at Plastic Surgery and Dermatology of NYC welcome any questions you may have about Belotero®, Restylane®, Juvéderm®, Voluma®, and Radiesse®, as well as our other cosmetic injectables. Contact our office at 212.988.1800, or request an appointment online today for your personal consultation! Treat Yourself To A Revitalized Appearance This Summer! With summer in full swing, patients can freshen their appearance in a pinch! Non-surgical treatments can provide youthful-looking, radiant skin without extensive downtime or recovery. Aging, stress, and genetics can all lead to wrinkling around the face, from your forehead down to your chin. However, thanks to cosmetic injectables that combat facial lines and folds non-invasively, you can achieve an immediate improvement in your expression. Combining different non-invasive treatments can provide balanced facial rejuvenation results. At Plastic Surgery and Dermatology of NYC, our variety of cosmetic treatments can provide a revitalized look in time for your next summer get-together. BOTOX® can treat facial lines around the forehead, eyes, mouth, and chin. BOTOX® relaxes facial muscles to ease wrinkles and smooth stress lines that contribute to a worn appearance. Since BOTOX® is non-invasive, treatments take under a half-hour to complete and require no downtime. Follow-up treatments are required to maintain your facial rejuvenation results. Like BOTOX®, dermal fillers can also treat facial wrinkles, including crow’s feet and smoker’s lines. Injectables, such as Belotero®, Juvederm®, Restylane®, and Radiesse®, utilize hyaluronic acid to fill areas of lost or depleted volume. Voluma® is another dermal filler option that can add fullness to folds around the cheeks. Voluma® penetrates deep into hollows around the midface to enhance cheek lines. Dermal fillers can reinforce structure for a smoother complexion in as little as 20 minutes per treatment. These non-invasive procedures achieve temporary results and require follow-up treatments to maintain your new look. Dermal fillers can be used to achieve plumper lips by targeting lip shape and size for patients who are dissatisfied with the fullness of their pucker. Thin lip borders can be enhanced, while the lips themselves can also be volumized. Additionally, patients can opt for silicone microdroplet treatment to achieve longer-lasting lip augmentation results. During this procedure, silicone is injected evenly around the lips to encourage collagen production which helps reinforce the structure of the lips, producing a plumping effect. Above are just some of the many non-surgical treatments we offer at Plastic Surgery and Dermatology of NYC! These procedures can be combined in order to achieve optimal results, depending on the specifics of your treatment. During your consultation, Dr. Levine will discuss which treatments are right for your particular goals. NYC dermatologist, Dr. Jody Levine, NYC plastic surgeon, Dr. Elie Levine, and the staff at Plastic Surgery and Dermatology of NYC welcome any questions you may have about BOTOX® and dermal fillers, as well as our other non-surgical treatments. Contact our office at 212.988.1800, or request an appointment online today for your personal consultation!